TOMAHAWK, Ky (Reuters) - A vote to bar interracial couples from a small church in eastern Kentucky has triggered hand-wringing and embarrassment. Nine members of Gulnare Freewill Baptist Church backed their former pastor, with six opposed, in Sunday's vote to bar interracial couples from church membership and worship activities. Funerals were excluded. The vote was taken after most of the 40 people who attended Sunday services had left the church in Pike County, near the border with West Virginia. Many members left to avoid the vote. Most members of the church "didn't want anything to do with this," said longtime church official Dean Harville, whose daughter and her black fiance had drawn pastor Melvin Thompson's ire. At services earlier this year, Stella Harville, 24, who is working on her master's degree in optical engineering, sang "I Surrender All" with her fiance, Ticha Chikuni, 29, a Zimbabwe native, according to her father. Chikuni, an employee at Georgetown College in Kentucky, played the piano. "There didn't appear to be any problem," Dean Harville said on Wednesday. "None whatsoever." But Harville said Thompson told him the couple would not be allowed to sing at the church again. Thompson resigned in August but would not drop the issue. 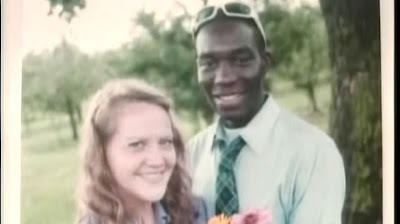 Thompson told a local radio outlet, "I do not believe in interracial marriages, and I do not believe this (ban) will give our church a black eye at all." Well my initial take is to shake my head at the bigotry that is still around in 2011 but I also believe in free speech and the right to assemble with like minded people. So if some backwoods Appalachian church decides that they don't want interracial couples attending services that doesn't really bother me all that much. People have a right to be prejudiced in this country. You learn that quickly growing up in the Midwest. What I did find interesting and a bit ironic is that there has recently been a bit of a fuss as to whether President Obama is abandoning white working class voters or if the white working class is all that necessary to Obama's reelection chances. This is often done with a lot of hand wringing and inference that the Democrats have stepped away from white voters and need to get them back. But stories like this are a reminder that it takes two to tango. I'm going to go out on a limb and guess that Pastor Thompson did not vote for the current President and would not have approved of his parents' marriage. So with people like this there's not much the President can say other than God Bless You and Have a Nice Day. People like this are a smaller group of Americans but they're not as uncommon as some would believe. The Pastor may be a bit extreme in his views and more open with his prejudice but IR marriage between Blacks and Whites remains quite rare-about 0.7% of married white women are married to black men and roughly 0.35% of married white men are married to black women. This is not all because of horrible prejudice but it is quite striking that something that remains so rare still excites so much debate and hostility. The other thing that this story reminded me of is that there was and is a reason why blacks set up their own churches, fraternities, beauty pageants, masonic lodges, hair salons/barbershops, etc. Because there are only so many times that a person can be rejected before they say you know what, forget you, I'm doing my own thing. 1) Does the church have the right to discriminate? 2) How common do you think the Pastor's feelings are? 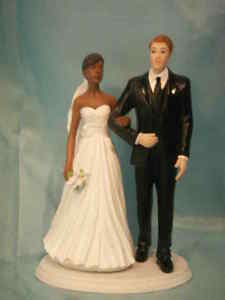 3) Why does interracial anything (dating or marriage) excite such fury in some people?